It’s official. Photokina 2018 is upon us. For those who aren’t familiar, it’s the world’s largest photographic and imaging trade fair. Once held biennially, Photokina has now grown into annual event status, running from September 26th to 29th this year. Typically, along with the show, comes a whole heap of new product announcements and intriguing ‘coming soon’ technology from our favourite imaging manufacturers. 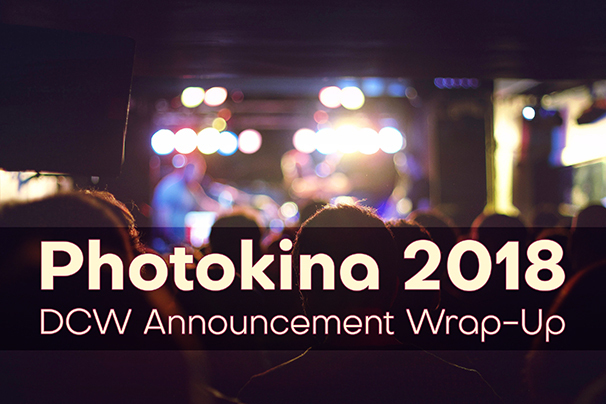 We’ve covered the Pre-Photokina announcements below and we’ll continue to update this page with more news now that the show is officially underway, so check back for more info! Panasonic has developed their first mirrorless cameras with full-frame image sensors; the LUMIX S1R and LUMIX S1. These are the world’s first full-frame cameras to offer 4K 60p/50p video recording. The LUMIX S1R has a high-resolution 47-megapixel sensor, while the LUMIX S1 has a 24-megapixel sensor. Both cameras will feature the amazing Dual I.S. image stabilisation system, a double slot for XQD and SD memory cards, and a rugged tri-axial tilt screen. Following the announcement of their partnership with Leica and Sigma, Panasonic will also get to work on line-up of LUMIX S series compatible lenses. The cameras feature Leica Camera's L-Mount, making it possible to mix-and-match any L-Mount compatible lens from any of the three manufacturers. 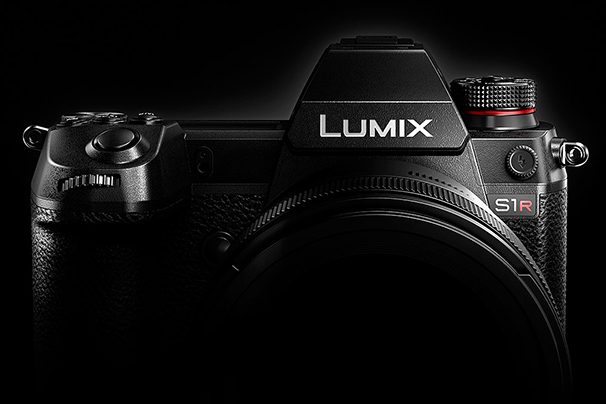 Geared toward meeting all levels of professional creativity, Panasonic is aiming to release the LUMIX S1 and S1R in early 2019. Fujifilm launches the GFX 50R, a medium format rangefinder style camera, adding to their impressive GFX line. The GFX 50R’s 51.4-megapixel sensor combined with a high-speed image processing engine and the high resolution GF Lens line-up produces ultra-high image quality with unmatched detail. Its lightweight and compact body makes GFX 50R an ideal tool for snapshots, documentary photographs and portraits. The GFX 50R will be released in November 2018. Sticking to their medium format guns, Fujifilm also unveiled their GFX 100Megapixels concept camera with, you guessed it, a mind boggling 100-megapixel sensor. Can’t wait to see the images this absolute beast will create. Not to be forgotten, Fujifilm also launched the new Instax SQUARE SQ20 hybrid instant camera. As the name suggests, it will use square format film and offer on-the-spot photo printing just like the rest of the Instax line. A screen on the back makes it even easier to use, offering creative effects and a motion mode that lets you shoot 15 second videos, pick your favourite frame, and print. 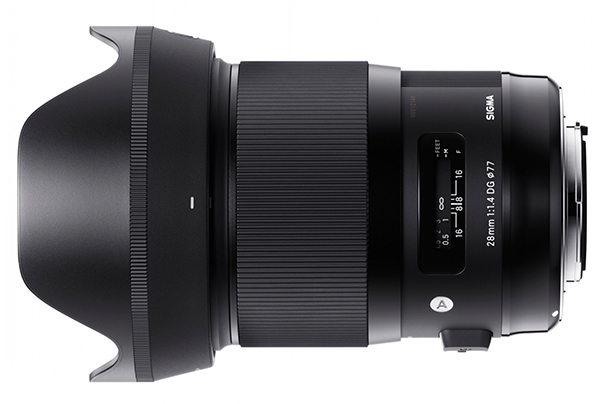 Sigma announced five new Global Vision lenses, from wide-angle to hyper-telephoto, there’s something for every photographic style and need. These new releases fit right into their impressive, diverse lens range and some will be available as soon as late October 2018. Jumping right into the middle of all the action, GoPro announced a long-awaited update with three HERO7 models. There’s literally one for every kind of adventure lover out there, from professional, to casual. The HERO7 Black sits at the top of the range, with 4K @60p video recording, while the HERO7 Silver shoots 4K @30p. The HERO7 White edition is the most budget-friendly of the bunch, recording Full HD video at 60p. All three cameras are waterproof down to 10m without a housing and feature built-in image stabilisation, amazing mobile app support, Bluetooth and WiFi connectivity, and vertical video support. Along with the impressive specs, these convenient features make shooting and sharing your adventures an absolute breeze. GoPro also created two kits to get the HERO7 started. The Travel Kit and Adventure Kit, both of which contain a few essential accessories and come in a customisable carry case that also fits your camera. There were quite a few announcements from Canon on this day, but most notably, they finally revealed the Canon EOS R full-frame mirrorless camera. With a 30.3-megapixel CMOS sensor and the latest DIGIC 8 image processor, the EOS R features the impressive Dual Pixel Auto Focus with an incredible 5655 manually selectable AF points. Continuing the tradition of high-quality video, the EOS R of course shoots 4K footage at 30p with the ability to shoot Canon Log, providing 12 stops of dynamic range for excellent detail retention. An extremely convenient vari-angle flip screen makes it easy to check your framing and footage. Canon users will be happy to know the EOS R is compatible with existing EF and EF-S lenses. To achieve this, Canon released three new adapters uniquely designed to meet individual user needs. Along with the brand new addition to their already amazing camera and lens line-up, Canon also unveiled a new addition to the EF-M lens range, a 32mm f/1.4 STM as well as updates to their epic telephoto primes with the lighter weight EF 400mm f/2.8L IS III USM and EF 600mm f/4L IS III USM lenses. The much-anticipated Fujifilm X-T3 is announced, boasting an all new back-illuminated X-Trans CMOS 4 sensor and high-speed X-Processor 4 image processing engine that’s 3 times faster than their previous offerings. 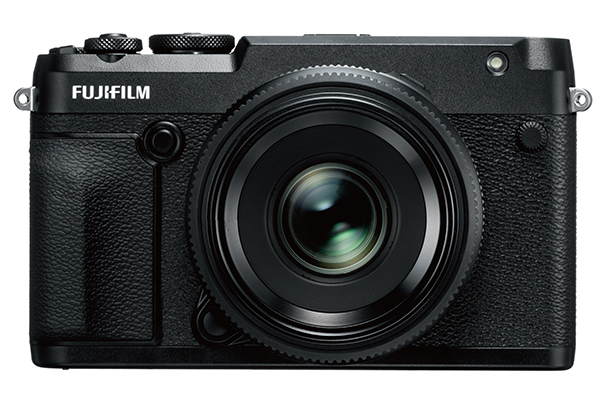 According to Fujifilm, it also has the highest image quality and autofocus accuracy in the X Series with improved tracking of moving subjects and a blackout-free EVF in burst mode. For the professional videographers out there, Fujifilm aims to please, providing 4K video recording at 60fps with 10-bit recording in camera for smooth video and rich colour reproduction. And yes, it has dual memory card slots, too. All of this is packed neatly into a timeless looking body that works with Fujifilm’s impressive, high-quality lens ecosystem. Nikon announces two full frame mirrorless cameras: The 24.5-megapixel Nikon Z6 and the higher resolution 47.5-megapixel Nikon Z7. Both cameras record 4K video and feature Vibration Reduction Sensor Stabilisation, the same amazing high-res EVF, and rugged, weather sealed body. While the Nikon Z6 has 273 points of autofocus, the Nikon Z7 steps it up to 493 AF points. Along with the two formidable camera bodies came the announcement of three lenses for the brand-new Z-Mount. 35mm f/1.8, a 50mm f/1.8, and a 24-70mm f/4 lens which will be offered as a kit lens for the camera bodies. If that’s not enough glass for you, an FTZ adapter is also available, making it possible to use Nikon F-mount lenses on the Z series bodies. A fourth lens, the 58mm f/0.95 S Noct, is in development and slated for release sometime in 2019. The new Nikon Z line-up marks the start of a new chapter for one of the oldest photographic names in the business, with more exciting additions on the way in the coming months.